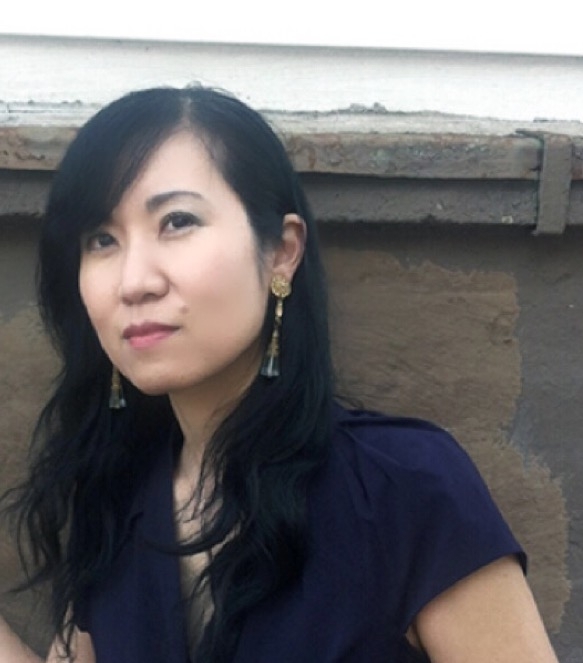 Kotoka Suzuki / 鈴木琴香 is a composer focusing on both multimedia and instrumental practices. She has produced several large-scale multimedia works, including spatial interactive audio-visual work for both concert and installation settings, often in collaboration with artists and scholars from other disciplines. Her work engages deeply in the visual, conceiving of sound as a physical form to be manipulated through the sculptural practice of composition. Her work often reflects on life, breath and wind. Suzuki’s work has been featured internationally by performers such as Arditti String Quartet, eighth blackbird, Pacifica String Quartet, Continuum, Nouvel Ensemble Moderne, Modelo 62, Mendelssohn Chamber Orchestra (Germany), UMS'n JIP, and Earplay Ensemble, at numerous venues and festivals such as Deutschlandradio-Ultraschall Berlin, Lucerne Festival, Stanford Live, ISCM World Music Days, ZKM Media Museum, Inventionen, The Stone (NY), Ars Musica (Belgium), Museo Nacional Centro de Arte Reina Sofía (Spain), 21C Music Festival (Canada), San Francisco Tape Music Festival, ICMC (Shanghai, Utrecht, Ljubliana, New York, Montreal, Belfast, Barcelona & Havana), Seoul International Computer Music Festival (Korea), New Music Miami, The Renaissance Society, New York City Electroacoustic Music Festival, SinusTon Festival (Germany), sound:frame Festival (Austria), VideoEx (Switzerland), Klangwerktage (Germany), and Music at the Anthology MATA (NY). Among the awards she has received include DAAD Artists-in-Berlin Program (Germany), Bourges First Prize in Multimedia (France), First Prize in Musica Nova International Electroacoustic Music Competition (Czech Republic), Russolo-Tratella Electroacoustic Music Competition (Finalist), Norton Stevens and North Shore fellowships from the MacDowell Colony, Howard Foundation Fellowship, New Music USA, Gerald Oshita Fellowship from Djerassi, and Robert Fleming Prize from Canada Council for the Arts. She has held residencies at MacDowell Colony, Yaddo, Djerassi, Ucross and Center for Arts and Media (ZKM). She received a B.M. degree in composition from Indiana University and a D.M.A. degree in composition at Stanford University, where she studied with Jonathan Harvey. Additional professional training include IRCAM Composition Summer Workshop (France), June in Buffalo (NY), Domaine Forget (Canada) with York Höller, and Voix Nouvelles Academy at Fondation Royaumont (France) with Brian Ferneyhough and Franco Donatoni. She taught at the University of Chicago and is currently an Associate Professor of Music at Arizona State University Herberger Institute for Design and the Arts. Her work is published on Edition RZ, Albany Records, EMF Media, IMEB records and Signpost Music. She is an associate composer at the Canadian Music Centre since 2001. **For any inquiries or questions regarding the artist or works, please use the contact page.